Yesterday, I aimed to capture sunset over the Pacific Ocean. It was very cloudy during the day but later in the afternoon the clouds broke up and we got some blue sky. So I was very hopeful to get a colorful sky for a few minutes. Well, it didn’t happen. My backup plan was to take a few shots of the Golden Gate Bridge because I was already in its vicinity. I haven’t been at this spot for a while so I enjoyed having the bridge with this straight alignment to play with. It was very windy and there is only so much you can do. Eventually I decided to try something different. I wandered a little bit further away from the bridge and got to this lesser known angle. The clouds were hanging low and were illuminated by the bridge. This looked really cool during the blue hour while I was there. 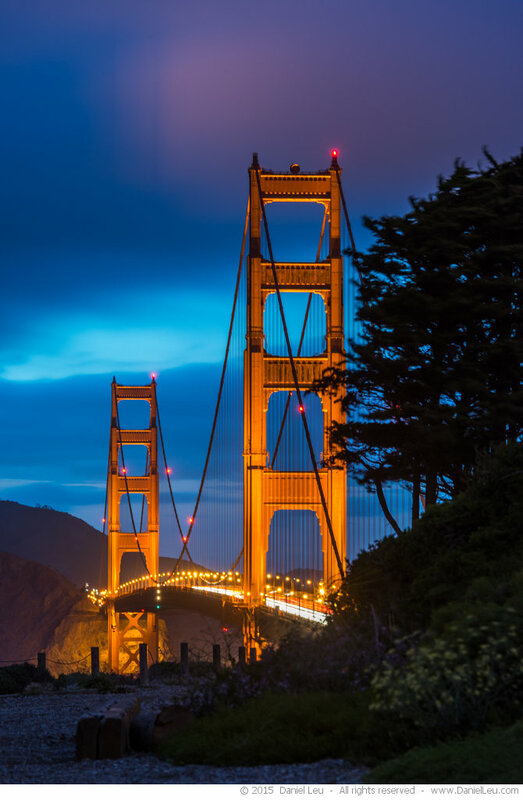 Do you like the Golden Gate Bridge? 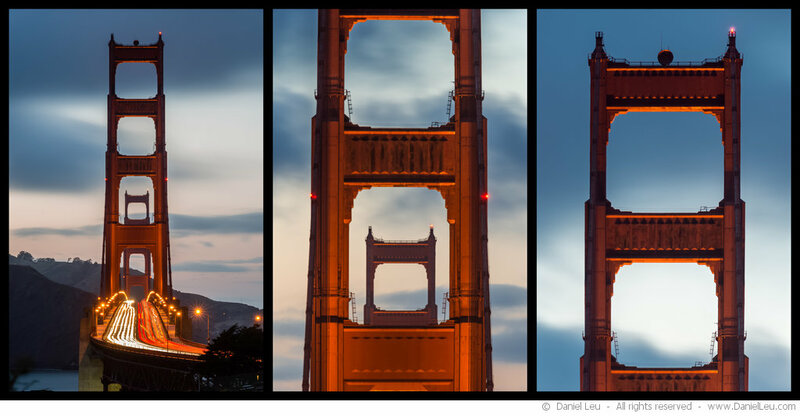 I have more images in my Golden Gate Bridge gallery. If you don’t want to miss one of my blog posts, please subscribe at https://danielleu.com/newsletter.php and select ‘blog updates’. Thank you!